What do you do when you want to ask your beloved to marry you? Pop the question kneeling down on one knee with a sparkly ring, right. Whether you’re a man or a woman, the tradition is the same since a hundred years and more. But, what makes the whole world follow this one tradition? Don’t fret because I have compiled the complete history of engagement rings and wedding rings since the very start into this brief blog post. Start skimming! Why a ring for engagement? History says it dates back to the Egyptians who believed the ring epitomized the circle of eternity. Very intelligent, right? Today, there is no one-style trending in engagement rings. While custom rings are getting popular every day, nothing beats self-designed rings available affordably directly from jewelers such as ParaForma. Which was the first Diamond engagement ring in the world? The first engagement ring with diamonds was given to Mary Burgundy in 1477 by Archduke Maximilian of Austria. It was a gaudy gold band with diamonds set in the shape of an ‘M’. Click here to see the setting of the world’s first engagement ring. It was given just the day before the wedding by the last knight of Europe. From then on, engagement rings became the standard of luxury and love. Let’s see how did it get there and where did it go from there. Before the Victorian Influence on Engagement Rings, it was the Egyptians who were found by archaeologists wearing engagement rings on their third finger on the left hand signifying the direct relation of the vena amoris to the heart. 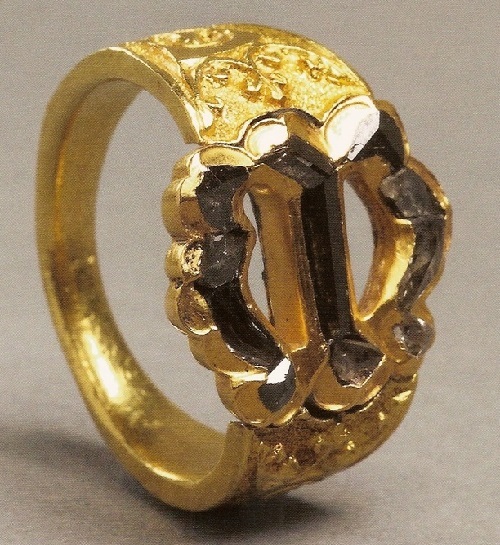 After the engagement of Mary the Rich (Mary Burgundy), Shakespearean tales explicitly state gaudy rings in the 1700s. 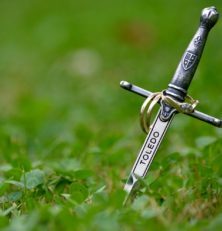 From the first letter to tiny poems and quotes, engagement rings in the middle ages were widespread with silver and gold bands. There was even a tradition of giving silver during engagement and replacing the same ring with gold during the wedding. After the romantic Victorian era, Tiffany setting grew by popular demand for ornate engagement rings with diamonds. Solitaire diamond rings were in fashion during the 1910s with thin yellow bands for engagement rings. The next decade saw a striking Edwardian style with chunky and artisanal designs. Art Deco was the trending design for rings for engagement in the 1930s, followed by white gold sensationalism in the 40s. After the war in the 60s, platinum engagement rings became the fad. Fast forward a few decades, baguette beside the solitaire reigned in fashion during the 80s. The 90s saw slim bands with radiant cut diamonds growing in fashion among the brides. DeBeers sought celebrities to advertise diamond engagement rings, propelling it into popular fashion. In the early 2000s, halos were in fashion, which has been maintained until now. Everything from filigree to gemstone halo rings is the fashion today. East-west rings were popular besides the chunky rings of lady superstars. Today, pave to micropave, three stone and many more artisanal varieties are trending amongst the brides. Check the DeBeers diamond engagement ring designs from the 2000s here. Besides ready-made engagement rings, grooms are creating unique designs of engagement rings to epitomize their love like never before. Since the $5,000 on engagement rings in 2011, on an average couple are spending up to $6,300 this year. More than half the brides still love the traditional cut of round diamonds on their engagement rings. Today, the average carat size of diamonds is 1.2 to 1.8 carat. Up to 45% engagement rings today are custom made. More than 33% of couples waltz in together and 14% grooms are buying their beloved, engagement rings via e-commerce sellers. How long does it take to find an engagement ring for a groom? 3.5 months! Today, all you need to do to check the most popular ring designs are adding your keywords on Google. In earlier days, creativity was the best friend of jewelers and brides-to-be than google. That’s why the designs seemed to be uniform as most jewelers were constantly in consultation with one another. You won’t find brides who don’t like engagement rings. Do you know what Elizabeth Taylor said? We have the luxury to even replicate old designs of engagement rings today. Which is your favorite? Just type your fave in the comments below and we’ll tell you what sort of a person you are!